In nature, plants produce germ-killing ‘essential oils’ to protect themselves from invading microbes, similar to how our bodies produce antibodies for our protection. 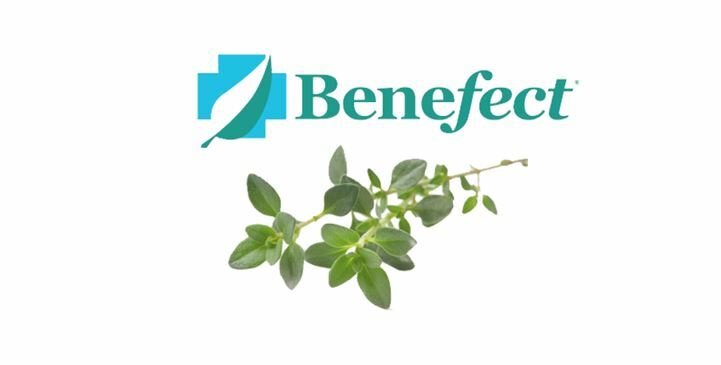 Benefect®is a revolutionary blend of these antimicrobial extracts, particularly from the herb Thyme, and achieves remarkable Efficacy & Safety profiles…without using any traditional synthetic chemicals like ammonia or chlorine. To put it simply, Benefect®is a ‘plant immune system’ in a bottle. Benefect®’s groundbreaking botanical technology is proven to kill over 99.99% of bacteria & surpasses the U.S. Environmental Protection Agency’s efficacy requirements for broad spectrum hospital disinfectants. The Benefect®formula is patented worldwide. Made from botanical ingredients, it is readily biodegradable & safe to use around children, pets & the chemically-sensitive. Formulated for general daily cleaning.